This book-collection file includes: The Gilded Are, Tom Sawyer, The Prince and the Pauper, Huckleberry finn, a Connecticut Yankee in King Arthur's Court, The American Claimant, Pudd'nhead Wilson, and Personal Recollections of Joan of Arc. According to Wikipedia: "Samuel Langhorne Clemens (1835 1910), better known by the pen name Mark Twain, was an American humorist, satirist, lecturer and writer. 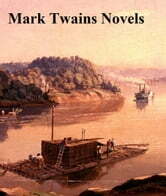 Twain is most noted for his novels Adventures of Huckleberry Finn, which has since been called the Great American Novel, and The Adventures of Tom Sawyer. He is also known for his quotations. During his lifetime, Twain became a friend to presidents, artists, industrialists and European royalty. Twain enjoyed immense public popularity, and his keen wit and incisive satire earned him praise from both critics and peers. 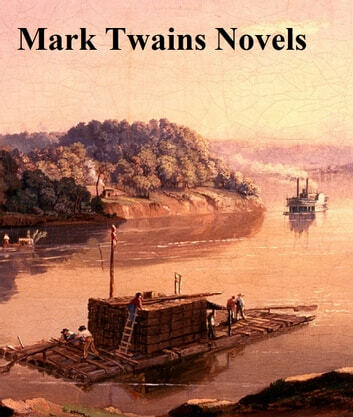 American author William Faulkner called Twain "the father of American literature."